Matt last filmed CODE OF A KILLER for ITV and BAD DAY THE OFFICE for Studio Hansa. He received an Offie Award & BroadwayWorld.com Award nomination for Best Supporting Actor in a Play for HATCHED N DISPATCHED at Park Theatre in 2015. 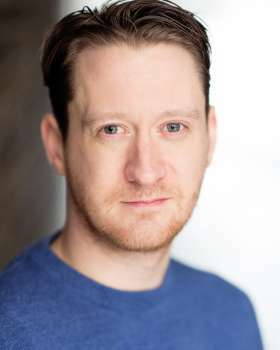 He previously played Jonny Eastwick in THE PROJECTIONISTS (6 part web series) and theatre includes Ariel in THE TEMPEST for Oxford Shakespeare Company and MEAT at the Arcola. Matthew also filmed the role of Rapey Colin in MEAT PUPPETS, the TV pilot produced by Kate Copstick.